Hello! Mayline here to share some cards that I made. 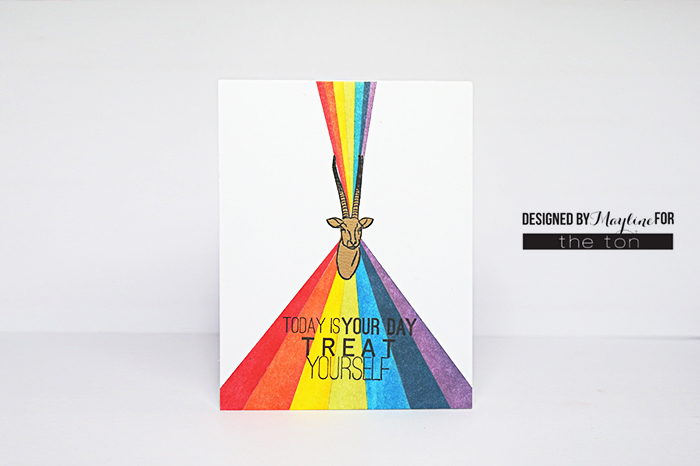 When I saw the Sketchy Menagerie stamp set I just fell in love with all animal images. I thought they were very modern and sophisticated graphic images. 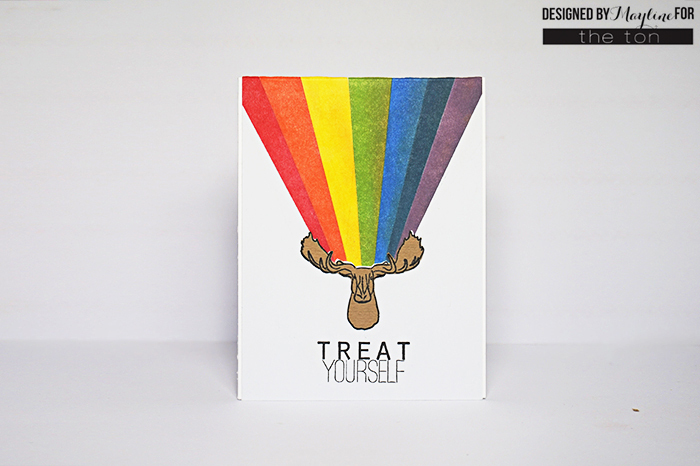 For this card I used the Sketchy Menagerie stamp set and the Shoe Wardrobe Lined stamp set (sentiments). My cards for today are very clean, simple and easy to make. Also, I was inspired by my muse and crafty friend Mayholic. Here is my second card. I used inks from Memento Luxe (Love Letter, Morocco, Dandelion, Pear Tart, Danube Blue, Nautical Blue, and Sweet Plum) and stamps Sketchy Menagerie stamp set and Shoe Wardrobe Lined stamp set. 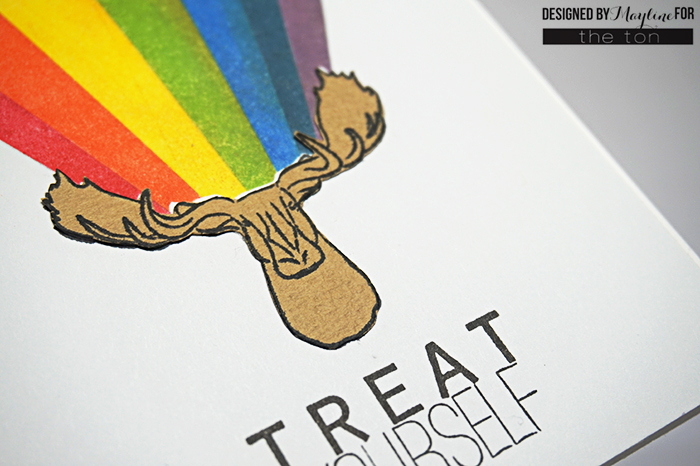 Here are a few pictures to show you how easy it was to create this card. 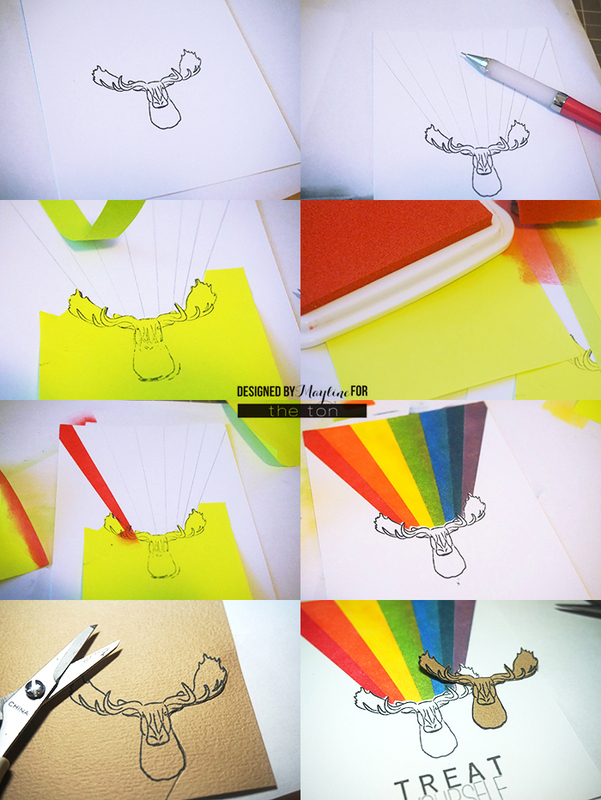 First, 1) Stamp the moose image from the Sketchy Menagerie stamp set on white cardstock (2) then draw lines with a pencil, (3) mask the moose image and other ares using sticky notes except the first space of the rainbow area (4) color the open area (5) repeat this process until rainbow colors fill the lined areas (6) stamp the moose on the beige color cardstock and then cut the image with scissors. You’re so cool and creative, Mayline!!! I love this!